Despite the Sierra Nevada Corporation’s disagreement, the GAO has approved funding for a new generation of commercial space vans for both Boeing Co. and SpaceX. These awards, according to NBC News, were awarded in September, and total a staggering $6.8 billion. 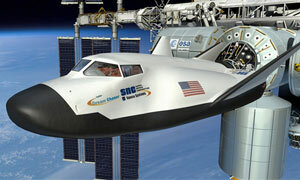 The money will be used by both companies to build the space vans, which will be primarily used to transport astronauts to and from the International Space Station. Of the total sum, Boeing was awarded $4.2 billion for its CST-100 capsule, and SpaceX will receive $2.6 billion to enable its Dragon capsule to carry crew members. While both companies are quite happy, Sierra Nevada Corp. is not. The company initially filed its complaint on the grounds that they felt the contest in which the awards were given was unfair. They claimed that the rules were changed mid-contest to put emphasis on having a space ship ready by 2017. As such, they also thought their bid should have won over Boeing’s higher bid. However, after review the GAO stated that no extra emphasis has been put on that criterion. As such, the awards will be sent out as planned.